Around this time a decade ago we had our first band session under the name Shrapnel Storm. There has been some small roster changes since then, but mostly it’s been the same guys week after week and year after year. To celebrate and to cut short this hiatus regarding new music, we proudly present a new song for you in Youtube format. We had a blast in Varjobaari, the upgraded venue was very cool. Varjobaari is supporting local underground bands, a valued service. Go there, drink beer and see live shows, guys. Next stop for Shrapnel Storm will be St. Petersburg in June. It will be our first gig outside of Finland and our 40th gig alltogether. Sorry for the radio silence! Shrapnel Storm has been busy writing new material, some of which can be heard live on our next gigs. 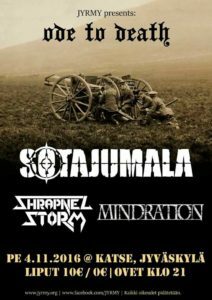 Couple of shows are confirmed for this year so far, next week in Vantaa and later this year in November we are playing with Sotajumala in Jyväskylä. Support the underground and we’ll see you next Friday! As a way of saying thanks to you all for coming out to Shrapnel Storm gigs this year, I present to you: The Carpet Bombing. It’s soon December and Shrapnel Storm is done with gigs for this year. I think we played about ten gigs this year after recording our debut album, “Mother War”. It was a blast and I want to thank everyone who saw us this year. Thanks for the support, Finland! Here’s a shot from our last gig in Pori, the people there were amazing. We still have one surprise for you before the year is over, more info on that later. Stay tuned. Some big shows incoming! Good times ahead! Meanwhile… You can check out the latest “Mother War” review. See you on the frontlines!!! The links for all the reviews can be found from our facebook page. Oh, and by the way. If you’re still hesitating to buy or not to buy, you can always go and stream the whole album at Witches Brew bandcamp!!! 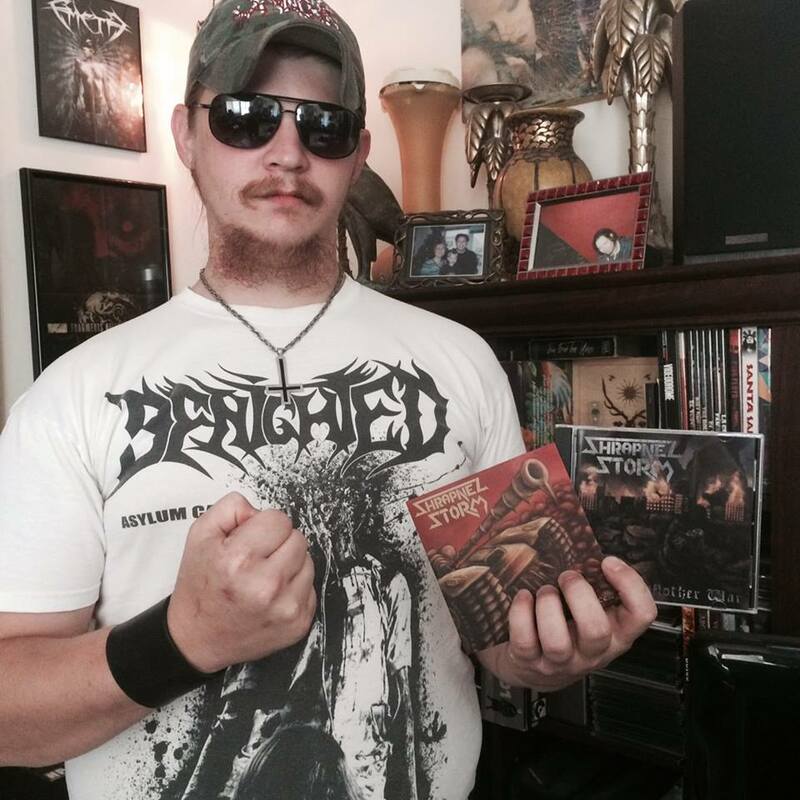 We got the cds today in Finland, so it’s available everywhere now!!! Even though the guy below lives opposite the big ball, he has all the needed in his hands! Be a man (or woman), buy the cd! MOTHER WAR is here!!! p.p.s. MW available in Finland starting on Friday 26/6 at levykauppa äx. Mother War is currently streamable in Finnish online zine Metalliluola. We’re ending the premiere at the official releasing date 29/5, so be quick and take a sneak peek! 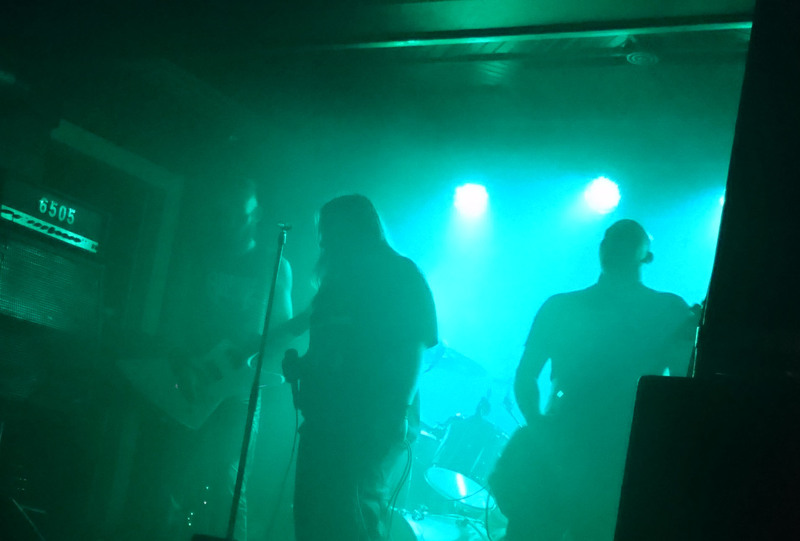 SHRAPNEL STORM is a death metal band from Finland. The band is influenced by old school mid tempo death metal. Brutality, death metal tradition and groove are the three key elements in every SHRAPNEL STORM track. You are currently browsing the archives for the Intel category. Original WordPress theme by Michael Tyson (edited by Pete).